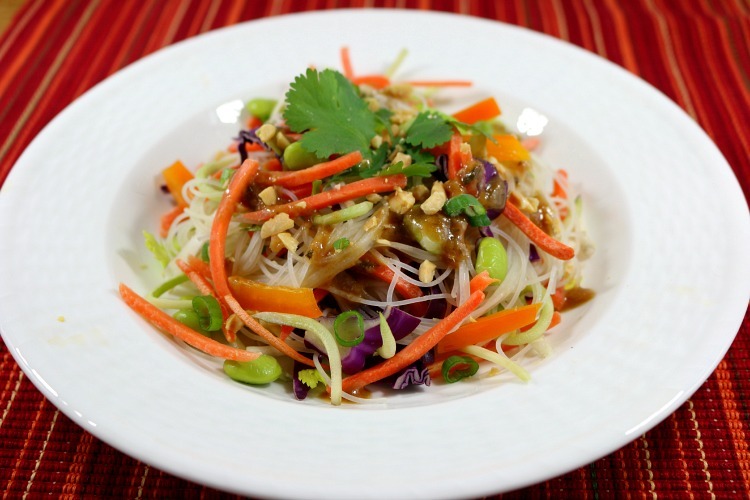 Salad Directions: In large mixing bowl add all chopped salad ingredients, add in the rice noodles and mix well. Toss with ginger dressing garnish with scallions and peanuts. Serve immediately. This is gluten free, to make it fit a paleo diet disregard the edamame beans and substitute salt for the soy sauce.